I was in an international youth conference in Asia and was part of the service team. During game preparation, while we went over each rule, the game master suddenly said, “For the Around the World, you may put all countries except the Philippines,” and blurted a huge laugh. The rest of the team laughed along, but not me. I was the only Filipino in the group and since it was our first meeting, they thought I was Singaporean or Malaysian. I was so mad that I made a loud cough and walked out. In a mission trip in another country, I met Maria (not her real name). Maria is a Christian in a closed-country, dominated by non-Christian groups. Maria and her husband are outcasts from their village. They live in a shanty, no electricity, no access to clean water. They can’t ask for help from their village or from the village chief because they’re Christians. Maria, whose ankles were fractured during the civil war, has to walk one kilometer to fetch water from the river, which is toxic, for their consumption and daily use. Her husband met an accident at work after a tank of gas ran him over and his company won’t take responsibility. Bryan (not his real name) is now an orphan after a landslide destroyed his town in 10 minutes. He just went to school in a neighboring town when a portion of the mountain fell over the entire place. Due to illegal logging and mining, the once prosperous, rice-producing town in the south, collapsed, now covered with mud and land. Its highway has turned into a lake. The three-storey elementary school has become a hill. The town was horrifyingly erased from the map. Poverty, discrimination, calamity, violence, inequality, slavery, war, etc. are some of the things we see every day. Maybe not all at once but somehow, we were and are also affected by the norms of this world, which was definitely far from what God has envisioned. The Old Testament shows the roller-coaster relationship between God and the chosen people; God’s love to His children amidst their disobedience to Him. He had sent prophets to remind the nation of their Living God, yet they were never consistently faithful. Finally, because of His unconditional love to all, God the Father sent His only Son to “seek and save the lost.” (Lucas 19:10) He sent His own as the second Adam, as a missionary. As a missionary Jesus Christ became poor, ate with the sinners, built communities, healed the sick, identified with the outcasts, etc. Jesus saw the need, He responded them and even exceeded human understanding. He did not only perform miracles to show He is God but to share His life, even to the point of dying on the cross. Jesus went from one place to another to share God’s kingdom and to build relationships with people, letting them know that God is within their reach. The same Holy Spirit that was given to His disciples 2,000 years ago is also given to all who follows Him not by words but by heart, mind, and spirit. The call to “go” is still real today—and it is true to my life. Last time, I mentioned about how “niche started” and expounded that we are created according to His image; from the image to job descriptions—stewards. Now, let’s reflect on Jesus as a missionary to Colombia. 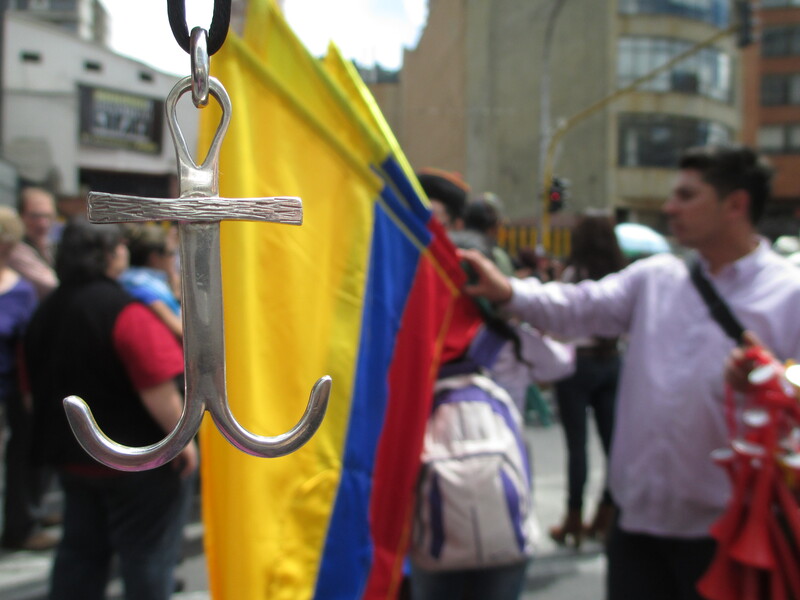 “If Jesus is a missionary to Colombia, who would He be? What would He do?…” And several more questions popped in my head as I try to see God as a missionary here. Then a light bulb hit me (‘aha’ moment)! I remember the words of Saint Theresa of Avila (see above). She is known for her passionate and compassionate work among the people, where she is serving. She said that we are God’s hands and feet of today. We are the Jesus of today!